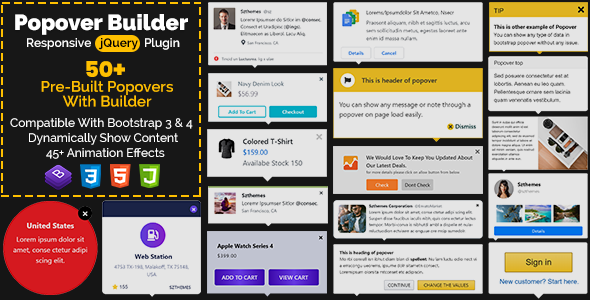 Popover Builder Responsive jQuery Plugin is a premium multi-purpose popover builder Plugin for Bootstrap and none Bootstrap sites. You can show content from other pages of the site easily like text, images etc. 50+ popular popovers designs are the part of this item. You can create your own popover design with the help of these pre-made designs. Also you can write your own HTML and CSS for popovers. With the help of our new Advanced Targeting Element Function it’s really easy to adjust how and where to show popovers. A popover can show on page load, on exit intent, on scrolling down, on click, on hover and on focus events. 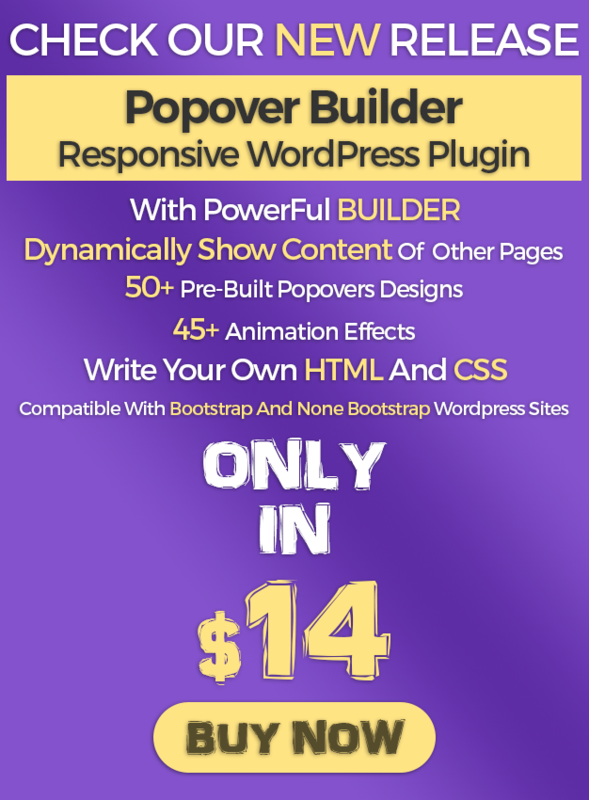 This Plugin is compatible with Bootstrap 3.x and Bootstrap 4.x.